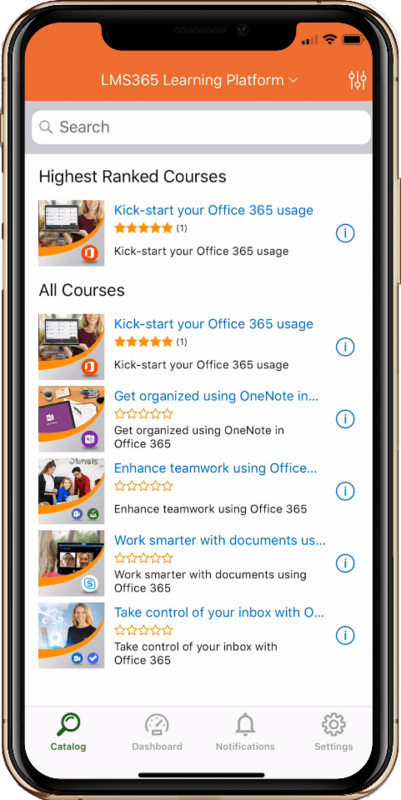 Accelerate productivity, compliance & onboarding with learning management on auto-pilot -directly from Office 365, SharePoint & Teams. Train distributed workforces using a single, unified LMS platform your business already knows how to use. Create courses on-the-fly and make them available immediately. Access and complete learning classes anytime, anywhere. Follow training progress instantly and administrate changes on the fly to meet organisation needs. Enterprises face an ongoing challenge in keeping staff up-to-speed with the latest technologies, industry regulations and company values and propositions. An increasingly mobile workforce and staff churn doesn't make things easier. When it comes to keeping everyone up-to-speed, we think this is the ultimate platform for delivering virtually any content, in a easy-to-rollout, manageable and compelling format. 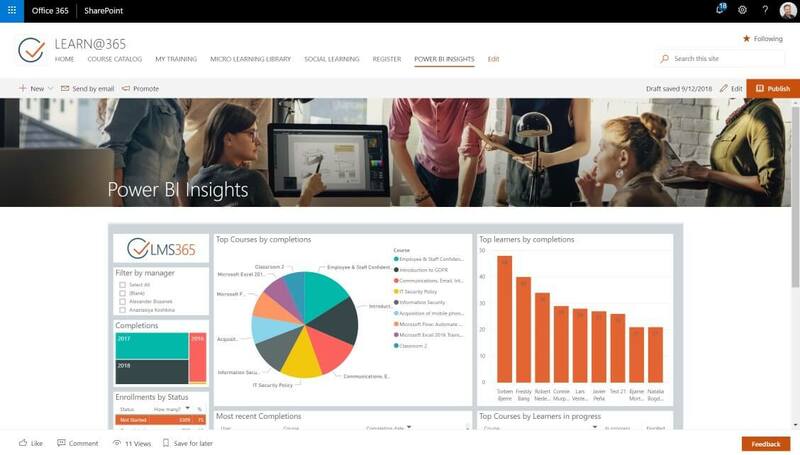 Fully integrated with Office 365, SharePoint & Teams, this LMS is one of the easiest to use for both administrators and learners. Its intuitive features make it easy to respond to any training need without programming, system integration, unwanted complexity, or technology overkill. Accommodate the needs of your enterprise in the Modern Digital Workforce. Accessing learning activities has never been more convenient through the intuitive learning app. Connect your data to any BI tool, using Odata. Plan company training and policies learning with completion certifications in an easy and trackable way. Leaderboards promote completion of courses and encourage users to get their certifications through social fun and competition!